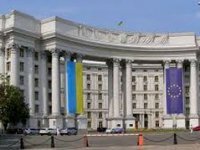 "Ukraine does not recognize the so-called "constitutional referendum", which took place on February 20, 2017 on the territory of Nagorno-Karabakh of Azerbaijan Republic, and considers it to be illegitimate," Ukrainian Foreign Ministry spokesperson Mariana Betsa told Interfax-Ukraine in response to a corresponding question. She also noted that the "referendum" violates the Constitution of Azerbaijan and international law and has no legal effect. "Ukraine's position on the Nagorno-Karabakh conflict remains unchanged in its unconditional support for the sovereignty and territorial integrity of the Republic of Azerbaijan within its internationally recognized borders," Betsa said.